Public policy responses to child sexual abuse are dominated by interventions designed to take effect only after offenders have already begun offending, and after children have already been sexually abused. Comparatively little attention has been given to alternative prevention strategies – particularly to those aimed at preventing sexual abuse before it might otherwise occur. Considerable knowledge has been accumulated on the characteristics, modus operandi and persistence of offenders, the characteristics, circumstances and outcomes for victims, and the physical and social settings in which sexual abuse occurs, but little work has been done to systematically apply this knowledge to prevention. 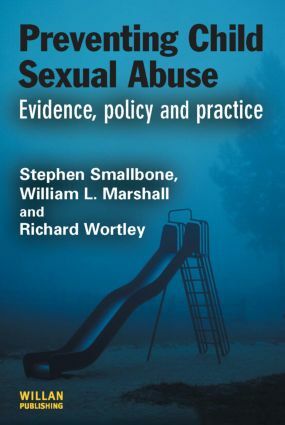 This book aims to fulfill this objective through integrating clinical and criminological concepts and knowledge to inform a more comprehensive and effective public policy approach to preventing child sexual abuse. Empirical and theoretical knowledge concerning child sexual abuse is integrated with broader developments in evidence-based crime and child maltreatment prevention, leading to new ideas about understanding and preventing child sexual abuse. This book will be essential reading for anybody with interests in this field.